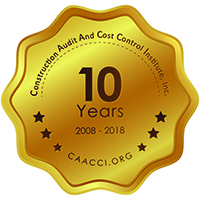 Controlling Construction Costs, In-house - The Construction Audit and Cost Control Institute, Inc.
Our in-house training is conducted at your location at a time convenient for you. In this two-day seminar, case examples will be used to illustrate effective construction cost control and analysis techniques. Attendees will learn how to ask the right questions to tackle technical potential cost overcharge matters; how to prevent overcharges; and how to detect and recover construction cost overcharges. Familiarized training – all of our construction related inhouse training includes preliminary familiarization with customer example project documents. When we familiarize a course, we take time to review examples of your project documents including construction contracts, change orders, contractor invoices, etc. This review helps us to better address the specific training needs of your organization and your project. Controlling Construction Costs is designed for owner organization representatives who are involved with controlling or auditing construction activity including construction management executives, project managers, construction auditors, procurement and legal representatives. Strengthen controls to reduce opportunity for fraud, conflicts of interest and kickbacks. Cost control objectives in project planning, document development, bid/contract awards through construction and contract closeout. 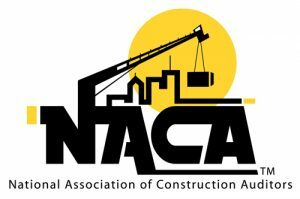 Controlling Construction Costs is designed to be a customized learning experience that directly relates to the way the seminar customer does business with their construction contractors. Rich Townsend is a Senior Construction Cost Control Consultant at R. L. Townsend & Associates, LLC. and President of Construction Audit & Cost Control Institute, Inc. Since 1985 he has been affiliated with Courtenay Thompson & Associates as an instructor for public offering and in-house professional development seminars related to construction auditing and construction cost control. 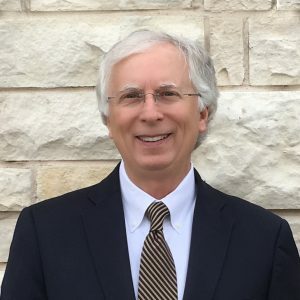 Mr. Townsend is a Certified Construction Auditor (CCA), a Certified Internal Auditor (CIA) and a Certified Public Accountant (CPA) and serves as a member of the advisory board for The National Association of Construction Auditors. He is a graduate of Waynesburg College/Waynesburg University (Waynesburg, Pennsylvania) where he obtained a Bachelor of Science Degree with a major in accounting. All participants are eligible to receive up to 16 Continuing Professional Education credits (CPE’s) to fulfill professional accreditation requirements. Field of Study: Auditing. Course Level: Basic. Group-live, lecture-style seminar; no prerequisites or advanced preparation required. For information regarding CPE, complaint, or program cancellation, please contact Courtenay Thompson & Associates at 214-361-8346.